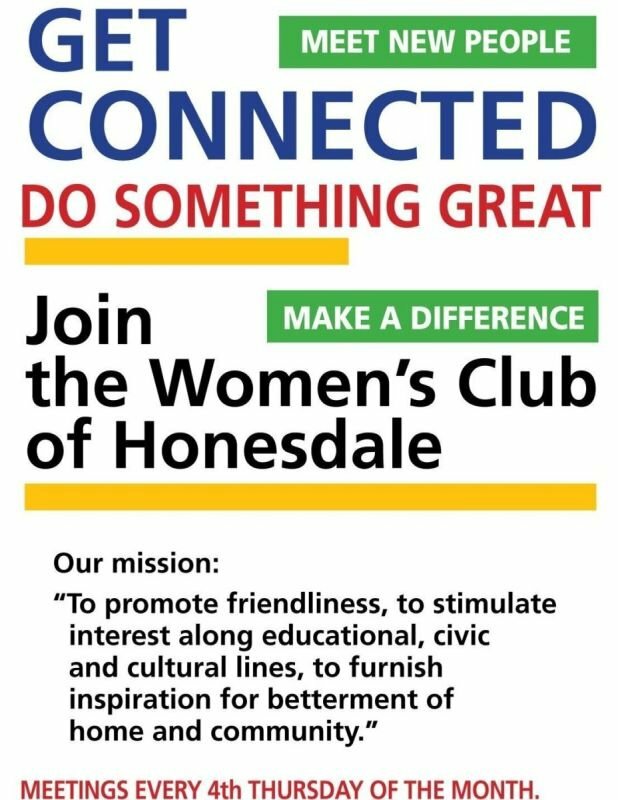 The Women's Club of Honesdale enjoys serving our community. Our members are from all walks of life – retirees, housewives, professionals, business owners and life-long volunteers. 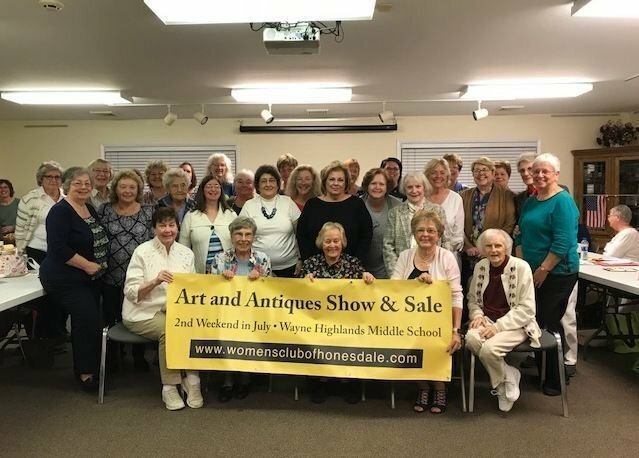 Many club members have been part of this organization for more than 50 years. Life-long friendships have been made. We meet monthly sharing conversation and great food prepared by our member hospitality committee. At each monthly meeting we invite diverse and interesting people to present their talents and expertise. IF YOU WOULD LIKE TO BECOME A MEMBER, PLEASE GO TO THE CONTACT PAGE AND SEND US AN EMAIL. WE WILL REPLY PROMPTLY.